With the help of a $50,000 pilot grant from the UF CTSI, a team of HOP researchers plans to harness the popularity and power of Facebook with the aims of helping health care providers educate patients about colorectal cancer and increasing screening rates for colorectal cancer among people 50 and older. 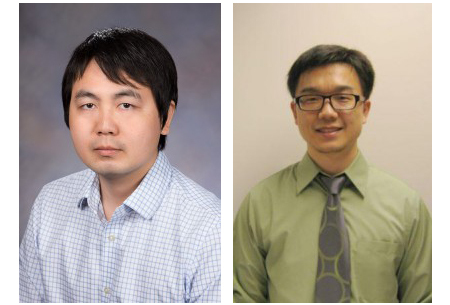 Yi Guo, Ph.D., and Jiang Bian, Ph.D., both assistant professors in the Department of Health Outcomes & Policy, are developing a Facebook app that can calculate patients’ risk of developing colorectal cancer, offer personalized tips for reducing the risk, and send friendly reminders about colorectal cancer screening via the popular social media platform. Other members of the research team include Thomas George, M.D., associate professor in the Division of Hematology and Oncology, and Virginia Dodd, Ph.D., associate professor in the Department of Community Dentistry and Behavioral Science. Colorectal cancer is the second leading cause of cancer-related death in the United States, but it is highly preventable through regular screening. The U.S. Preventive Services Task Force recommends screening for all adults ages 50 and over. However, only 58.6 percent of the eligible population actually complies with screening guidelines. The numbers are even lower among racial and ethnic minority populations. Social networking sites such as Facebook already have become effective tools for online health communications, said Guo, whose research focuses on eliminating health disparities in low-income and minority populations. Guo’s research focuses on health risk prediction modeling, cancer health outcomes, and cancer prevention and control. He points to a trend among users of social networking sites to seek and provide social support and exchange health-related knowledge and experiences with their Facebook friends. “Because people are already using Facebook to share health information with their family and friends, we believe social media could provide a useful way for health care providers to communicate with their patients—especially those who lack access to health care or have low health literacy,” Guo said. Bian has a diverse yet strong multi-disciplinary background and extensive research expertise in social media, network science, machine learning and software engineering. Bian says that while many people consider Facebook to be a platform made by and for youth, 72 percent of adults who go online use Facebook, and 64 percent of online adults are ages 50-64. Among adults over age 64, 48 percent use Facebook, making it an ideal platform for cancer-related health communication. The researchers first plan to develop and test the app among a small group of patients to test its effectiveness in increasing compliance with colorectal screening guidelines. Then the team plans to target the app to racial/ethnic minority populations including African Americans and Hispanics.